Kerrisdale is an old neighborhood in westside of the city of Vancouver, B.C. The real estate in Kerrisdale is mainly consisted of older detached homes, newer custom-built homes and many spec-homes. Kerrisdale is close to many top ranking public and private schools in B.C. It is within a short distance to some of the best private schools like York House, Little Flower, Crofton House, West Point Grey and St George's. View Kerrisdale homes for sale here. The area where the Kerrisdale neighborhood shops, banks and restaurants are located is centered along West 41st Avenue between Larch and Maple Streets and West Boulevard between 37th and 47th Avenues. The low and mid-rise rental and condo apartment buildings are located around the town center of Kerrisdale within the boundary of West 41st Avenue and West Blvd. The southwestern part of Kerrisdale is Southlands which retained many of its horse stables and rural feel. Southland of Vancouver is relatively flat, as it is located on the floodplain of the North Arm of the Fraser River. Single family detached homes in Kerrisdale area of Vancouver westside are generally selling from about $1.65 million to above $6.0 million. 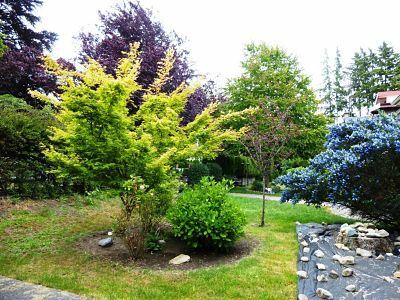 The building lot sizes in Kerrisdale are from just under 4,000 sq ft to larger lots over 20,000 sq ft. View Kerrisdale homes for sale here.